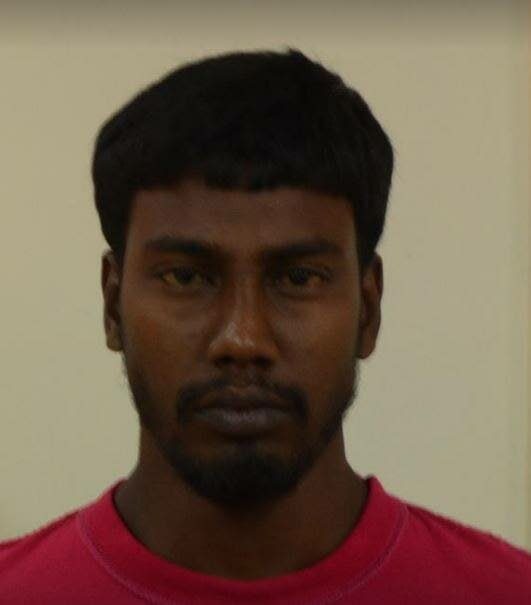 JOHNATHAN Ramroop appeared in the Chaguanas Magistrates’ Court yesterday charged with killing parliamentary clerk Mariana Moonisar and wounding her father. The labourer, 24, stood before magistrate Aiden Stroude, who read the charges, which stemmed from a shooting on August 3 in Couva. Ramroop, who lives at Ninth Street in Dow Village, California, also faced additional charges of having a gun and ammunition. The magistrate did not call upon him to enter any pleas as the charges, laid by WPC Callender, were indictable. The 28-year-old Moonisar, known as Marie, worked as an administrative clerk at Parliament and lived at Couva. Yesterday, the magistrate denied bail and remanded Ramroop into custody. He adjourned the case to March 20 and transferred it to Couva court, the jurisdiction where the crime happened. Moonisar was driving home from work last year on August 3, when two gunmen shot at her car on Esperanza Road, Couva. She was hit in the head. Her father Roopchan was in the front seat and was shot in the left cheek. He had emergency surgery at the San Fernando General Hospital. Police from Homicide Bureau Region III arrested Ramroop on February 9. A few days ago, legal officer PC Kyrn Lewis of the bureau submitted a file to the office of the Director of Public Prosecutions. Deputy DPP Honore-Paul gave instructions on Tuesday for police to charge Ramroop. Reply to "Man charged with murder of Parliament clerk"